Even though home inspections take hours (if done properly) and cover just about everything in the home that could cause an issue, there are still some things that home inspectors can miss — and as a new homeowner or buyer who hasn’t quite made it to closing, that fact can be nervewracking. Home inspectors are licensed and qualified professionals, but they can’t look inside walls, under floors, or tear the house apart to find each and every potential issue. Here are the problems that they’re most likely to miss. Many a new buyer has signed paperwork and moved into a house only to discover that there’s a pest problem — termites, rodents, even snakes. A home inspector is looking primarily for evidence that there could be pests, and if the infestation isn’t yet widespread or if it’s wintertime and the pests are dormant, then there might not be any evidence that they’re there at all. There are some inspectors who specialize in pest detection using more advanced, in-depth techniques than a general inspector is likely to have at their disposal, so if you’re concerned that there could be a pest problem with the house, it might be worth your time to hire one and see whether they’re able to find any clues that point toward or away from the existence of pests in the house you’re about to buy. Inspectors will look for cracks in the walls or bubbling paint, but in general, they don’t take samples of the paint to check its composition. This means that the home you’re about to buy (or that you already own) is coated with lead paint and you might be completely unaware. If you’re concerned that lead paint might be an issue in your house, buy a kit to test the paint; be aware that you’ll have to chip some of the paint off your walls, and if there are several layers of paint, you’ll need to check every layer. In the meantime, the good news is that lead paint isn’t dangerous as long as you aren’t consuming it, so make sure any paint chips are cleaned up promptly and that your kids or pets don’t have any opportunity to chew on painted areas in the house (don’t laugh — it’s happened before) while you determine whether lead paint is really an issue in your home. Just like pests, inspectors are looking for signs of mold; they aren’t going to pull apart your walls or use any advanced detection techniques to see if they can find mold. So if there aren’t any obvious indications that there’s mold in the house, it’s possible that a general home inspector could miss its presence. In humid climates, or if the new buyers (or a member of the household) has a compromised immune system or significant allergy issues, it might be worth hiring a specialist to check for the presence of mold inside the house. To adequately check for asbestos in the house, the inspector would need to get inside your walls. If the inspector doesn’t see any indication that the insulation in the attic or basement or crawl space is made of asbestos, then they might not have any reason to think that the insulation in the rest of the house could be asbestos — those areas are typically the only places where you might find exposed insulation. There are labs and specialists that can test for asbestos. It’s possible to order a home test kit and take a sample yourself to send in, but depending on your own health and confidence in your ability to test for asbestos without causing yourself a potential health issue, you might want to bring in the experts for any tests. They’ll check a portion of your insulation, and if it is asbestos, give you options for how to get it removed. Radon gas causes lung cancer, and it’s colorless, odorless, and tasteless, which means it could be seeping into your house and you wouldn’t even know it. Radon is most prevalent at lower levels of a home (such as a basement), and the only way you can detect it is through testing. Radon is more prevalent in some parts of the country than others, and some home inspectors can conduct a radon test for you — but it’s an additional fee and process, so be prepared to pay a little extra for the test. The inspector will place a device in the area in the home that’s most likely to be exposed to radon and leave the device for a day or two; the reading on the device will indicate whether there’s radon in the home, and then you can work out mitigation if it turns out to be a problem. In many markets, swimming pools aren’t considered part of a home inspector’s services, so if you’re about to buy a house with a pool, you’ll want to check with your inspector about whether pool inspection is included. If not, this is something you can contract separately. Some inspectors will be willing and able to tell you whether the inspector recommends that you get a separate full pool inspection, or whether it looks mostly above-board, but some inspectors won’t be able to do even that for you. A pool inspector will check the pool barrier (to ensure that small children can’t access the pool easily), pool electrical servicing, the pool circulating system (the pump and motor in the pool), the interior of the pool, the deck around the pool, and any slides or diving boards that are part of the pool. Standards for pools vary by location, so if you’re moving to a new state, don’t be surprised if the pool requirements are different than what you’ve experienced in the past. Home inspectors do check heating and cooling systems as part of a general inspection. The problem is that it’s not always easy — or, frankly, advisable — to check heating or cooling in extreme weather. For example, if it’s midsummer and your area is experiencing a killer heat wave, it could be inadvisable or even dangerous to thoroughly check out a home’s heating system, and likewise for a cooling system in the middle of winter. It’s impractical to try to control the weather, so instead, consider having an HVAC specialist come take a look at any systems if your inspector was unable to get a full read on one of them. A general inspector will try as hard as possible to detect any roof leaks, but depending on how tall the home in question happens to be, it might not be realistic to expect the inspector to climb on top of the roof and look around for leaks. If the home is more than three stories tall, or if the roof is covered with snow or ice, it’s likely not safe for the inspector to inspect the roof up close and personally. Instead, they might make do with binoculars and a close inspection of the attic ceiling to see if there are any stains or leaks that they can see. As a result, roof leaks are another issue that sometimes can slip through the inspection cracks. Ask your inspector how close they were able to get to the roof and possibly consider hiring a roofer to give you a second opinion — although if the problem is ice and snow, even that might not be effective. Whether the dishwasher drains appropriately and the oven or range turns on and off are going to be checked by the inspector, but depending on the nature of the problem, there’s a lot that an inspector might miss when it comes to appliances. The water heater could be the right size for the home and appear to be in perfect working condition, for example, but it’s possible that you realize after you move in that it hasn’t been flushed since it was installed, and it’s costing you a fortune in utilities — or just not heating water very effectively after a few minutes or so. If you can get a warranty for your major appliances from the seller, or possibly even purchase one yourself, this might be one way to protect yourself from potential appliance issues. Talk to your real estate agent, too; depending on how many houses they’ve sold and how long they’ve been in business, they’ve probably seen appliances just like yours before and can give you a rundown on the quality and problem areas that you’ll want to keep tabs on as a homeowner. An inspector is going to check to make sure there are no obvious stains or cracks in the flooring, but unless you get special permission from the seller, the inspector isn’t going to be pulling up the carpet to look at the floor beneath — which means it could be hiding something nasty, whether that’s mold or an indication that the foundation is shifting. It’s not unheard of for a buyer to pull up carpeting with the intention of laying down a new type of flooring, only to discover a problem they never knew existed. If the sellers are amenable, then it is possible to get permission to pull up a small section of carpeting to check for any problems. If not, this might be something you want to look at sooner rather than later once you move in, just in case there’s something under that carpet that you’d consider a nasty surprise. In some areas, inspecting any wells or septic systems is considered part of the home inspection, but in others, it’s a separate specialty that you’ll have to pay an additional cost to complete. There are septic and well specialists who can ensure the systems are working properly and test the well water for quality and cleanliness; some loans will require a well or septic inspection before the deal can close, so talk to your mortgage broker and real estate agent about what’s necessary and make sure you get everything lined up. It’s also generally a good idea to know what’s happening with your water sources and septic system, so if those are part of the house you’re buying, even if separate inspections aren’t required by the lender, think about getting them anyway just for your own peace of mind. Inspectors will look for cracks in your chimney, and check to make sure the flue is clean, but it’s more a cursory check than a really in-depth inspection. If the chimney is for a wood fireplace or wood stove, and especially if that’s a major source of heat in your home, then you might want to bring in a specialized inspector to make sure everything is in good working order and there are no issues with your chimney or fireplace. Radon is only one form of radiation that can cause significant health problems — there are others, and general home inspectors don’t have the equipment to test for radiation. Radiation can come from water, electromagnetic exposure, and other sources that you might not even think to consider. Talk to a radiation specialist in your area if you’re concerned about it; your real estate agent will also be a good source of information in terms of whether you should be concerned and what sources of radiation (if any) might emerge for you in your new home. 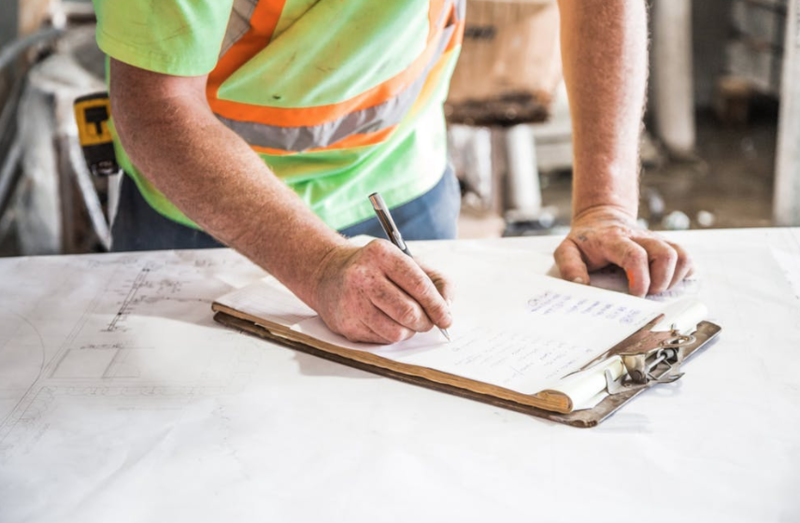 Like many of the items on this list, home inspectors are trained to look for signs of damaged sewer lines; they’ll check the drainage in sinks, tubs, and showers, flush toilets, and do their best to ensure that the sewer line is operating appropriately. But if the sewer line is partially blocked or has experienced some damage (but is still working at least partway), then an inspector might not notice it’s got issues — that might be an unpleasant surprise for the new homeowner to discover. There might not be a lot you can do to check for a damaged sewer line in advance of buying the house. You can ask the current homeowner to identify where the line exists under the yard, and check for the presence of any trees (especially old trees that might have significant root systems) nearby. Older homes will be more likely to present a problem than newer homes; modern homes use newer materials for sewer pipes, but if the house is old enough, it might even still have a clay sewer line. Ask the current homeowner for a rundown on the age of the home and material of the sewer pipes, if available, and then you can make a reasonably educated decision about how likely it is that you’ll experience a problem. The grading of the soil and land around the home should divert water away from the foundation — this is another item that inspectors can miss for a variety of reasons. They’re usually looking for indications of leaks, and if there are none, then the inspector won’t be able to find them. Inspectors also look for puddles or standing water around the house, but if it’s been a dry season and there hasn’t been much precipitation, then even if those indications would normally exist, the inspector won’t see them. Grading issues can cause serious problems for your foundation and even the stability of the house in general. Talk to your real estate agent about how often they see grading issues in homes like yours and whether they would be concerned if they were you; if you need to get a soil expert in to check the moisture content and raise any red flags, it might be worth it before the sale goes through. Home inspectors do their best to catch the major problems before the sale is finalized, but there are some things they can miss. If you’re concerned that an inspector might miss something in your new home, have a conversation with your agent about what you can do — whether it’s hiring a specialist or requesting more information about the home’s history.